What visceral lesson might pro-gun rights alleged 'paranoiacs' draw from this display? Perhaps they'll conclude that their ideological opponents are, in fact, eager to grab and ban guns, and that their smooth, incrementalist talking points are meant to deceive through disingenuous assurances of restraint. Duly noted, a gun owner might think to herself after watching the Rubio clip. We cannot give these people an inch. 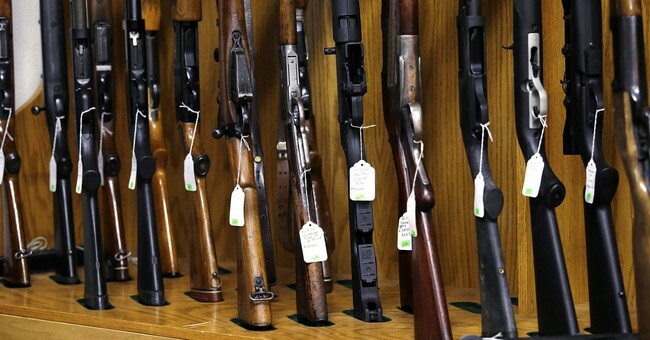 When gun control enthusiasts reveal the broader extent of their ambitions, regardless of whether those ambitions would actually decrease gun crime or mass shootings, gun rights advocates' defenses are heightened. They're heightened further when top political leaders offer positive (if vague) references to Australia's outright confiscatory laws. And they are immeasurably hardened when innocent, law-abiding gun owners are demonized and accused of being monsters because they don't agree with any number of political proposals. It turns out that people may not be especially interested in working with those who accuse them of abetting child murder. Go figure. The counterpoint to some of this is that CNN's event, widely criticized on the Right, featured emotional high schoolers, mere days removed from watching their schoolmates gunned down. Of course they reacted intensely and without deep policy or messaging sophistication. They were new to these issues and were thrust into the spotlight by horrible events. That's a fair point, but one that seems to apply less and less as certain prominent student 'leaders' (backed by national groups) continue to serve up inaccuracies and make increasingly slanderous statements, often unchallenged. It also doesn't justify adults in the media's decision to showered attention upon a small group of rhetorically...aggressive students who all share one perspective, while avoiding or ignoring others. Over the Republican primary season, I was an outspoken conservative critic of then-candidate Donald Trump, and a torrent of hate rolled my way. I would later learn just how much: The Anti-Defamation League named me one of the top 10 Jewish journalists to be attacked by the alt-right during the election season. After years of receiving death threats for my conservative views, months of being attacked by the alt-right and then having our address published online by the neo-Nazi Daily Stormer, I pushed myself to finally go through the process of asking friends for letters attesting to my character, obtaining fingerprints and submitting to background checks. I was given a reason to feel that I needed to defend myself and my family. And I acted on it. Because your privilege in feeling that a gun will make you safer is in part because you are white. CDC data actually shows the opposite about gun ownership. My family and I are threatened with death by your followers - actual gun extremists - on a routine basis and will be again because of your tweet. 1. Plays race card, sneering at Jewish woman for buying gun to protect her family from actual Nazis. 2. Called out, plays victim card, saying such challenges lead to violent threats & *rhetoric* about guns (talking!) is dangerous.